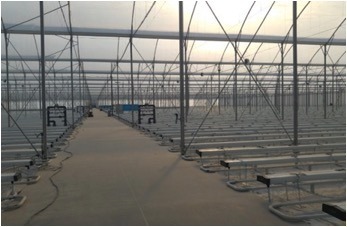 While Richel has been active on the American continent ever since the first greenhouses were built in Mexico, the French greenhouse manufacturer is expanding its presence in North America by positioning itself as a more complete solutions provider. Herve Savoure, Sales Director Americas at Richel, sees many opportunities for greenhouse development in Mexico over the next few years. 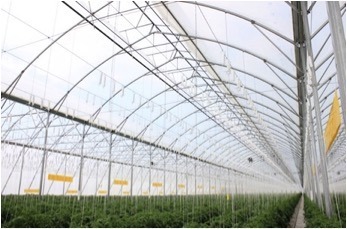 The country has become the number one supplier of fresh produce to the United States and the local greenhouse industry has seen significant growth. It is growing up and making a transition from simple tunnel and low tech production towards more dedicated high tech greenhouse production. And if the company does not have a solution available that fits those parameters or the needs of the client; then they make a solution. This was also the reason why they introduced their 16 meter bay structure in 2015. Besides this the company has more projects going on in Mexico lately; they just finished 12 hectares for Agricola Zarattini and are currently building a 24 hectares project for San Jose y Su Agricultura. Next to this Richel is also the supplier of the structures for the expansion at Geoponica. This bell pepper grower completed 18.2 hectares this past year and is now preparing another 5 ha expansion.